During the summer months, Corolla, NC is overflowing with fun activities for the entire family! Every modern convenience and amenity is readily available, yet the natural coastal landscape is appreciated and preserved. Of course, the gorgeous beaches take precedence, but shopping, restaurants and attractions are plentiful in Corolla, North Carolina. Water sports , such as surfing, are extremely popular in Corolla, NC. Never tried riding a wave before? Don't be intimidated! Surf lessons are available for all ages through businesses such as Corolla Surf Shop. Guided eco-tours by kayak or stand up paddleboard are the latest thing in Corolla-explore back channels and see incredible wildlife. Corolla offers numerous activities for everyone in the family. Young people can enjoy several activities including mini golf, programs at Currituck Heritage Park, and a movie theater located in the Food Lion shopping center. There's also plenty for adults to do while vacationing in Corolla, NC. Play a round of golf at the Currituck Club, unwind at a spa or sign up for a wine tasting class. Corolla restaurants offer everything from North Carolina BBQ, to fresh local seafood, to fine dining. Shopping is also widely varied; you can buy an inexpensive souvenir, a designer handbag, or a surfboard! While on your Corolla vacation, be sure to visit the beautiful and unique 4x4 Beaches . All you need is a 4-wheel drive vehicle and a sense of adventure! You can explore on your own, but great guided tours are available. Be on the lookout for the magnificent Corolla Wild Horses and other abundant wildlife. The 4x4 Beaches are truly an unforgettable experience. 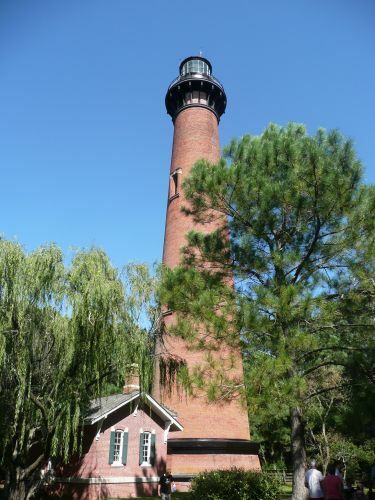 Want to learn more about things to do in Corolla, NC? Check out Sun Realty's list of "Don't Miss" activities and attractions . These family-friendly activities are sure to please everyone in your travel group.